I love my pets, I do. I have two stubborn, cute, snorty little pugs and I consider them part of the family. That’s why I sort of snorted myself when I saw the IndieGogo project page for Petzila, an odd little videoconferencing gadget that purports to let you connect to your pampered pooch via the magic of the internet and your iPhone. 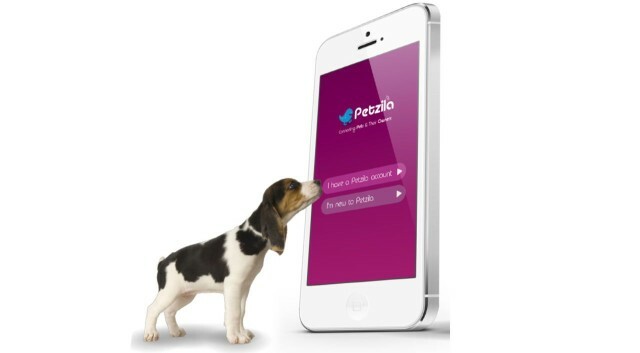 The Petzila lets you see and talk to your doggy friend, and even dispense a treat with a tap on your iPhone screen. How fun is that? It’s odd, is what it is, and while I’m sure my pugs would love a magical treat from the new box on the wall, I doubt they’d know what to do with the disembodied sound of my voice coming from the speaker on the thing. Well, that’s not true. They’d probably end up doing what they do when I stick my head out the window to call them in. They’ll look around, not see me, and then ignore the heck out of me. The Petzila funding has hit $41,000 of the requested $30,000, so it’s obviously a gadget that a lot of people want more than I do. Maybe the future is full of us watching our cute little doggies hover nearby the videocam, shivering and hoping for a handout from the treat box on the wall. Of course, if I had a larger dog, like my friend’s golden retriever, it might not wait for a treat, and instead rip that thing out of the wall and chow down on the plastic casing, sure in the knowledge that with enough chewing, it will open up to release all its glorious dog treats at once, iPhone videoconferencing be damned. If you want to support this odd little project, head on over to the Indiegogo website and toss them a few bucks. One unit is currently listed at the $99 level of support, which is a pretty decent discount below the planned $169 retail price after the release in December of this year. While I can’t really know whether such a product will work (though I tend to lean towards the “dogs like human physical touch better than a webcam” school of thought), I’m super glad to live in a world where folks can dream these kinds of things up, and actually get money to try them out. Viva la Petzila and the other wild product inventions out there!